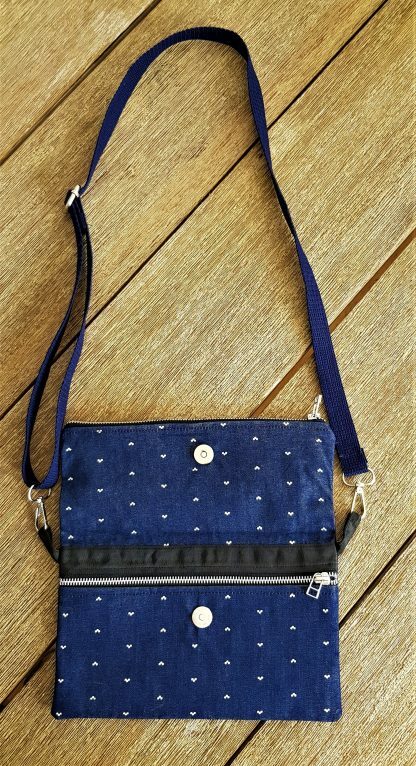 Home / Cross body bags / Rini Foldover cross body purse. Rini Foldover cross body purse. 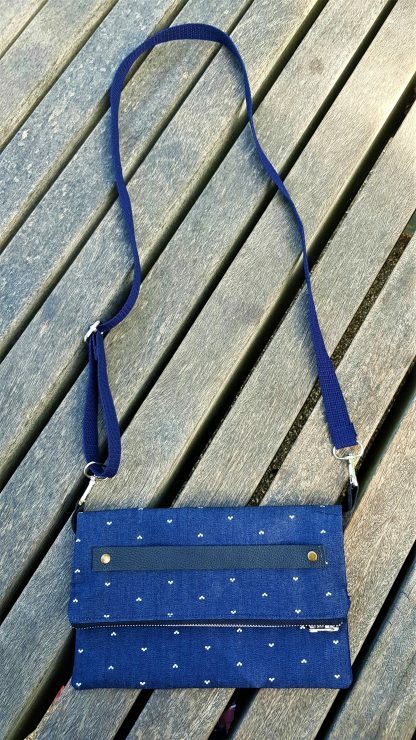 Handcrafted by talented Enfair artisan partners in India. 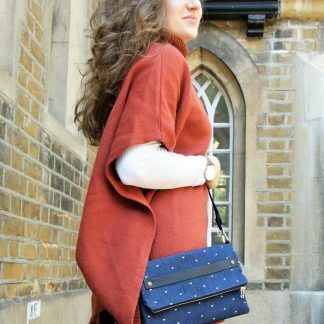 When the flap folds over : 16 Height X 25 width. 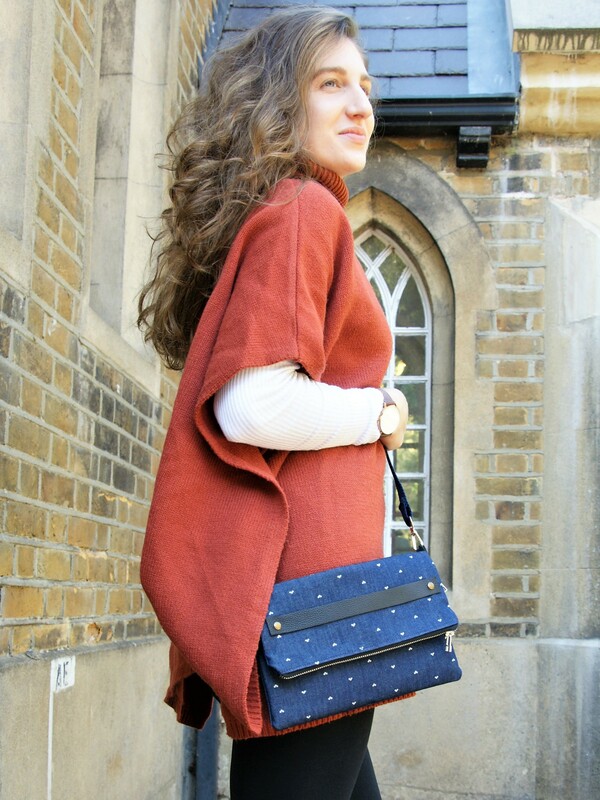 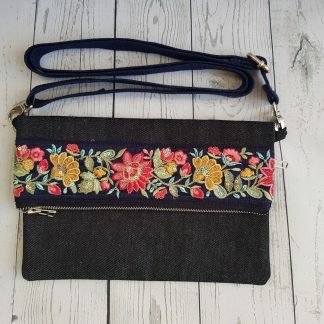 This fold over cross body purse is perfect when you need to carry a few essential items. 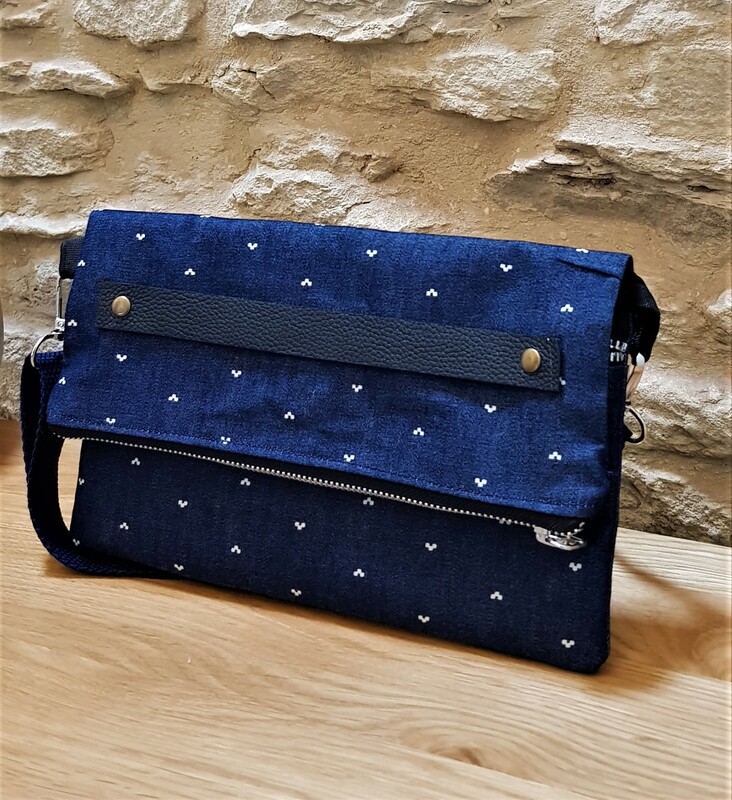 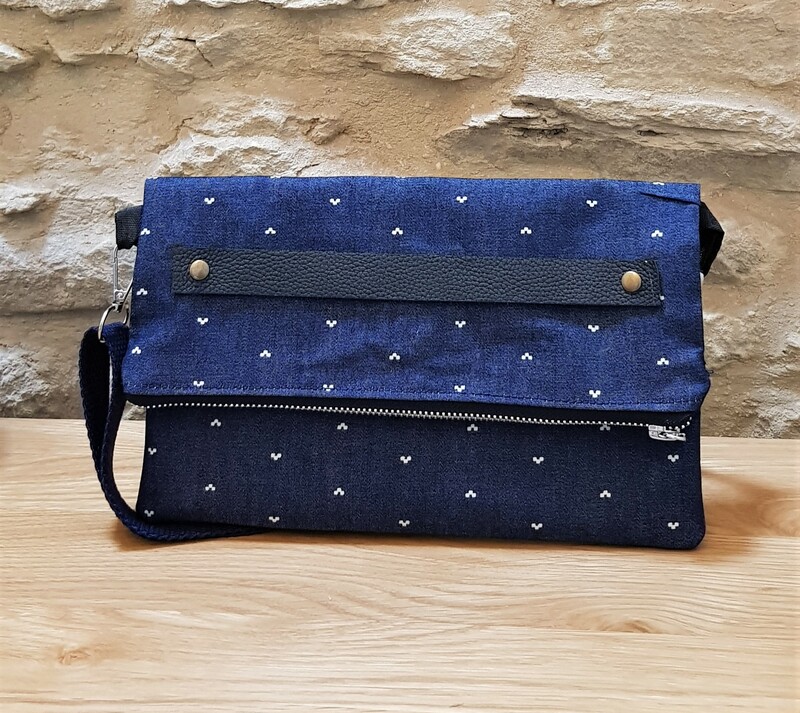 This is a dual purpose purse as it can also be used as a clutch when the strap is removed.The main body of the bag has a zipped compartment, and the fold over flap conceals another zipped compartment.Made from a durable printed dark blue denim cotton canvas.The purse features a buffalo leather handle in the front.Fully lined with a beautiful printed cotton ,the strap is made of cotton webbing which can be adjusted. 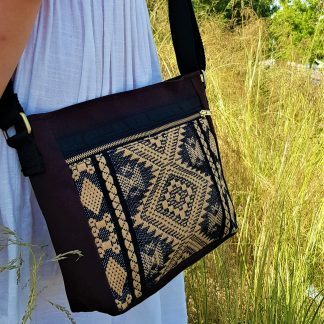 Lali Cross body bag in woven cotton and cotton canvas	 Mali evening/day purse in multi colour.